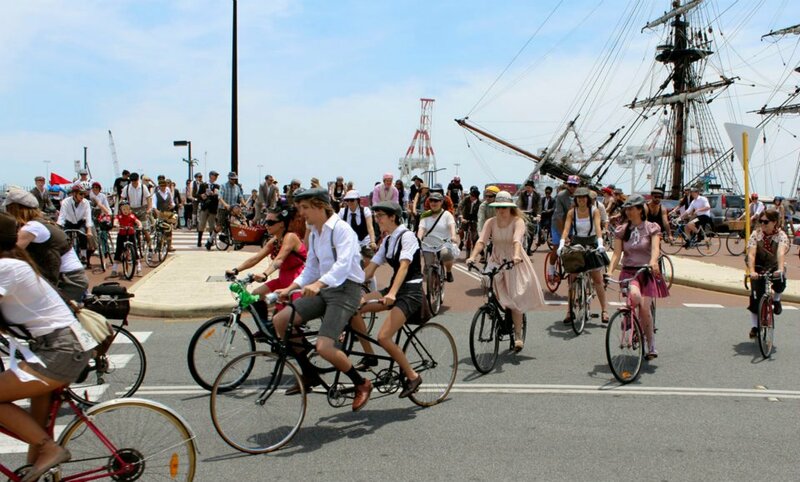 It's that time of year again when the good folk at http://dismantle.org.au host their annual Tweed Run cycling event through the streets of Fremantle Town. Last years event was a cracker and this years promises to be even better!! 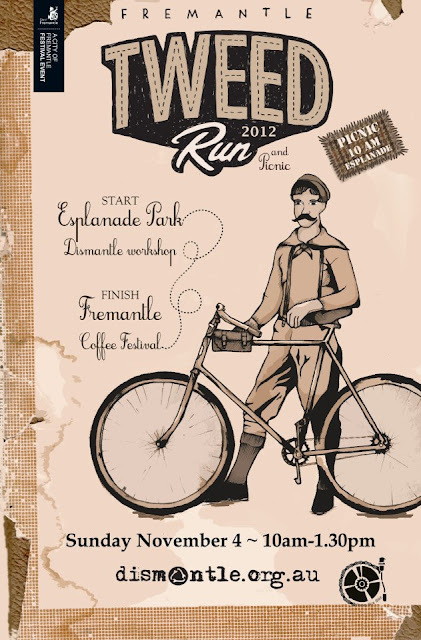 This years Tweed Run will commence at 10.00am on Sunday November 4, 2012, at Esplanade Park, Fremantle, just near the Dismantle (bicycle) workshop. If you don't know Freo very well just look for the large ferris wheel near the fishing boat harbour, or for more info go to Dismantle's Facebook page. The event will commence with a picnic style gathering of all Tweed Run participants in the park, so be sure to bring along your vintage ride and remember to wear your favourite tweed gear. You'll be surprised what you can find at your local Good Samaritans Store!! Unlike last year the organisers have requested that all participants wear bicycle helmets....the ride will be on the streets of Fremantle so normal road rules will apply to the group without exception. Although the event is free please bring along a small donation for the Dismanlte group to support them with their community focused cycling projects...they do some really good work! There will also be tea and scones on sale so ensure you bring a little extra cash to spoil yourself throughout the morning! The Ride itself will begin in the car park at the northern end of Esplanade Park, and will meander in a southerly direction all the way down Marine Terrace. The group will then hook back around onto South Terrace and make its way up into the cappuccino strip to finish at the Fremantle Coffee Festival. Fremantle will be very busy due to the Coffee Festival so if you're not riding to the event get there early to alleviate parking problems. ...and a great day it was too!! Please mark your calendar and make this years Tweed Run a day to remember.